I picked up The Big Book of the Blue by Yuval Zommer over a year ago because I knew that the illustrations would inspire an amazing lesson. 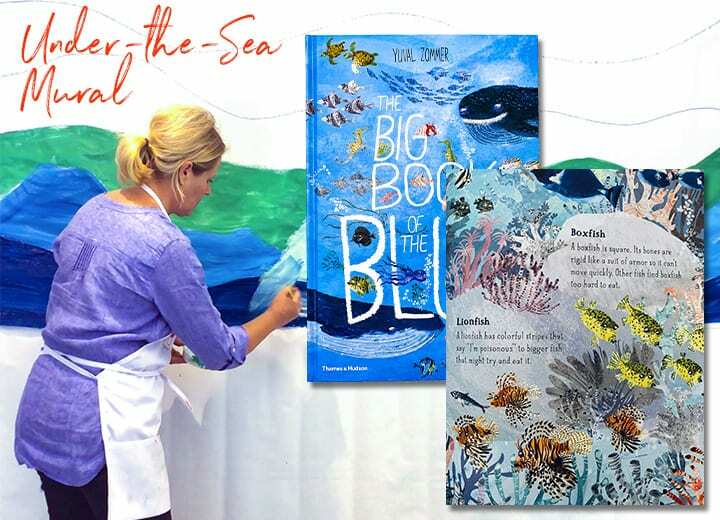 This book is filled with collections of various sea animals and plants, making it the perfect jumping off point for a collaborative mural. Each page is more than just beautiful, they also have valuable information about our oceans and the animals that live in them. 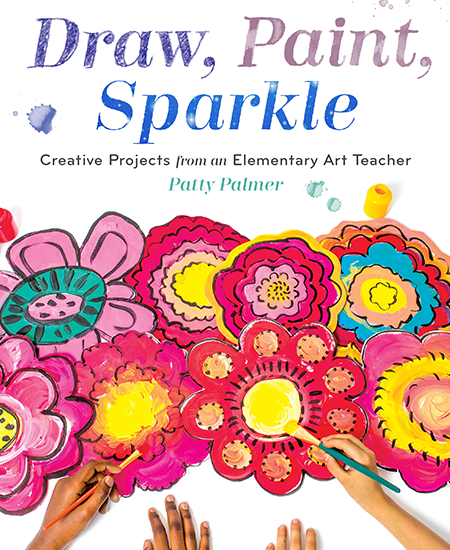 With Earth Day coming up, it makes a perfect addition to your art room library. – Flat paintbrushes that you can find at Home Depot or in the wood section of craft stores. *I’m using affiliate links for the above art supply suggestions. 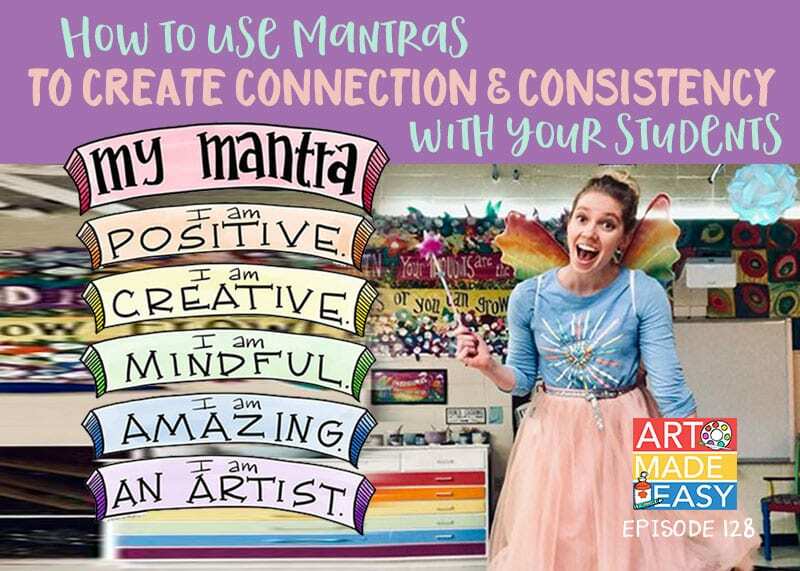 Watch Patty’s Facebook Live tutorial, demonstrating how to teach this lesson to your classroom of students. This video has been edited from the original Facebook tutorial. Cut a piece of butcher paper to the desired size of your mural (I cut mine about 9 feet long). Next, tape your paper to the wall or find an open space on the floor to paint on. Using an oil pastel, draw a basic outline of layers of the ocean. I kept mine super simple: gentle slope of an ocean floor, a few rocks and then ribbons of ocean layers. Once your lines are in place, prepare your paint. I like to use pint-size plastic food containers to mix my paints. 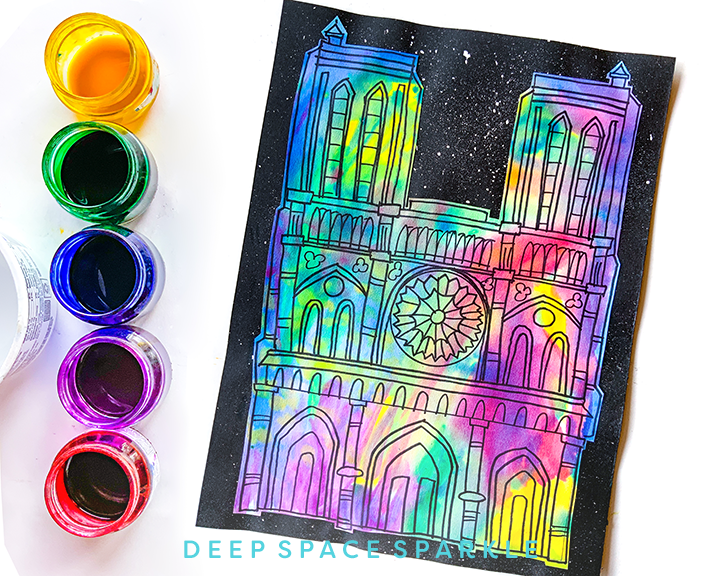 I used the book as reference and aimed to incorporate purple and green into the ocean color so that it’s not entirely blue. After the paint dries, I added one small detail: acrylic paint. I found the painting just looked rather messy without a border, so I channeled my inner Ted Harrison and created bold white lines between the layers using white acrylic paint mixed with a bit of water. Tip: I tried white tempera paint, but it didn’t give the opacity I was looking for. So I brought out my Crayola acrylic paints and that did the trick. I just moved offices and happen to have some bubble wrap in excess amounts. Why not put it to some use. Don’t overthink this part. Cut down the bubble wrap into 12″ sections and just paint over the surface with a light colored paint. Kids can take turns pressing the painted bubble wrap over the DRY background. SUPER fun. I had some sponge rollers (you probably have something similar, too) so I added a few swirly lines. Again. Maximum fun potential here. Drawing guides for a Marine Life Collaborative Mural Project. 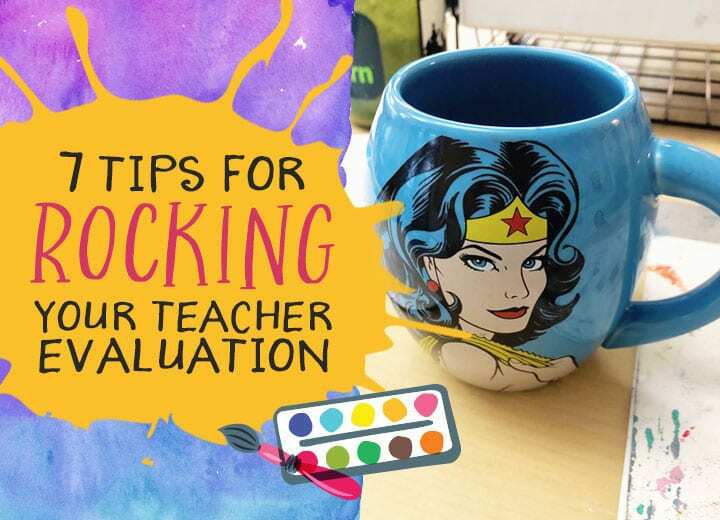 You can purchase this lesson plan PDF by clicking the link below. Note: Are you a Sparkle? 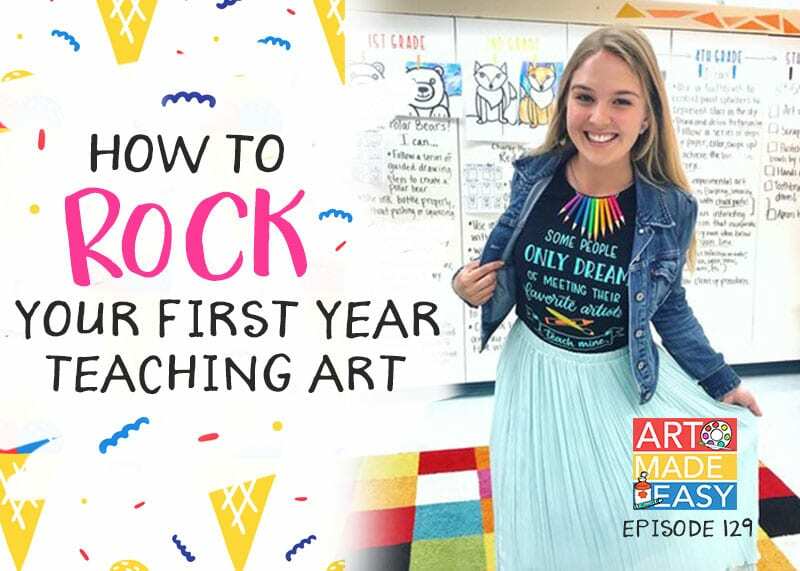 This lesson is included in the Collaborative Art Bundle inside the Sparkler’s Membership. Adding marine life to the mural is best done with basic supplies and the easiest techniques. Meaning, don’t get too fancy. 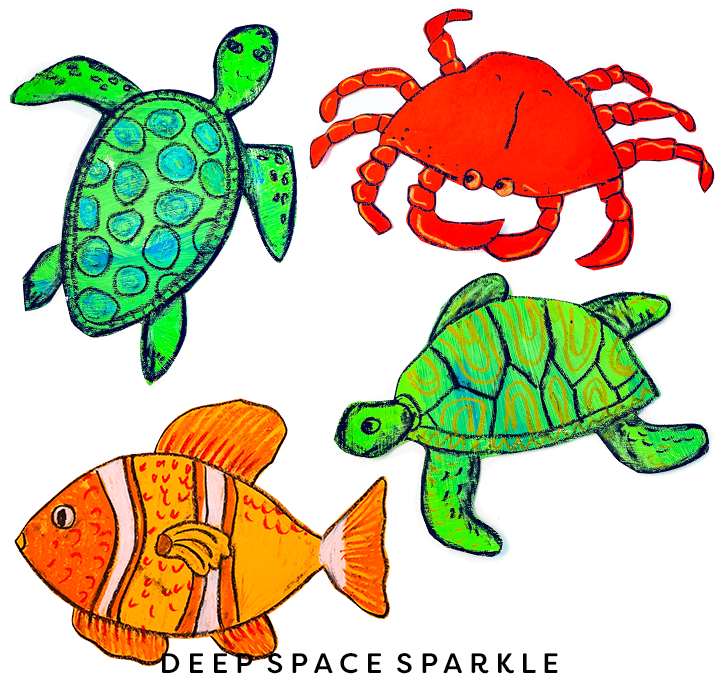 I tried a few watercolor fish and sea turtles but in the end, decided that children would have more fun creating their sea animals using plain paper and some type of oil pastels. I have some beautiful Faber-Castell Gel Sticks in my art cupboard so I brought them out for the job. So glad I did. They make a BIG difference on the coloring opportunity. There are a couple of ways to approach the mural. You can pick ONE sea animal per class or you can decide to have all sea animal options available. 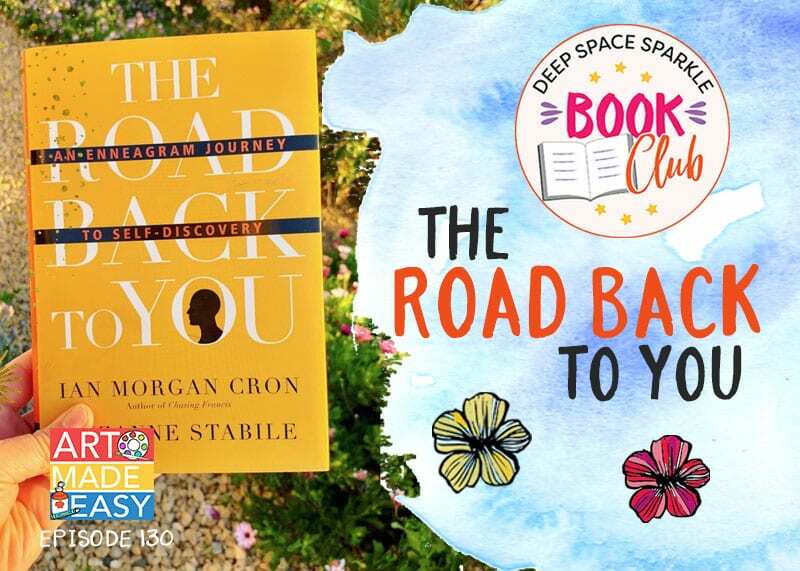 The first choice reflects the book’s theme of collective versions of undersea species. But the latter option allows for more variety. 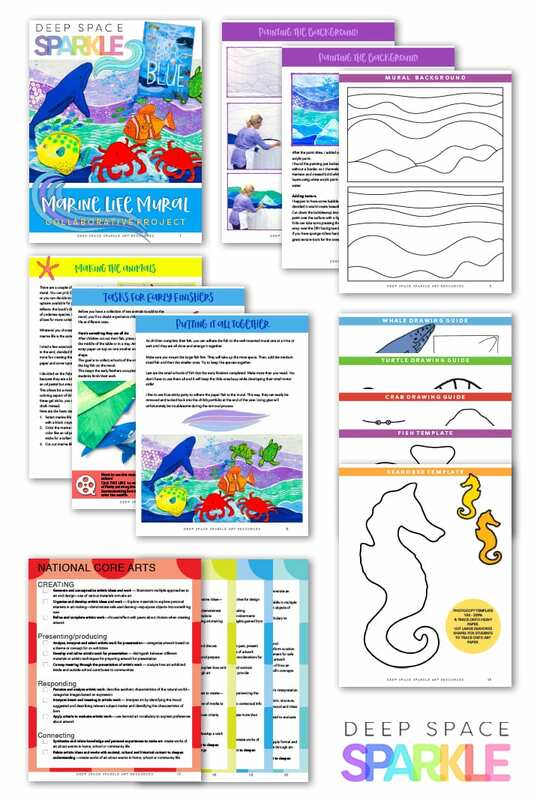 Click the orange button below to download my free Marine Life Collaborative Handout. Type in your name and email and it’ll be sent straight to you! 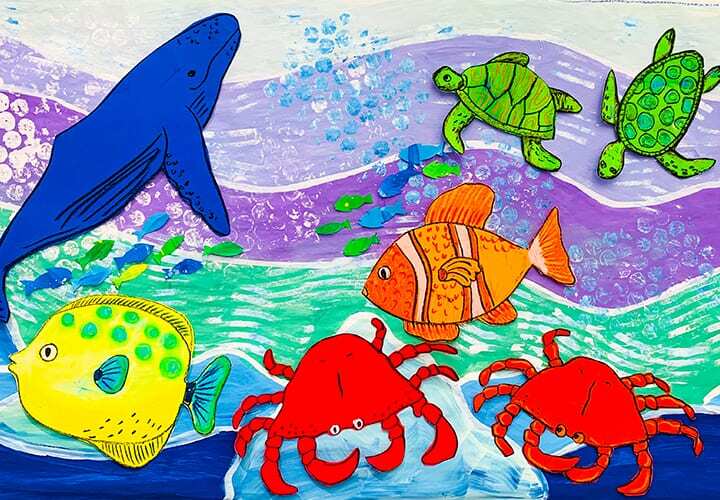 Do you want the FULL version of this Marine Life Collaborative Mural Project? 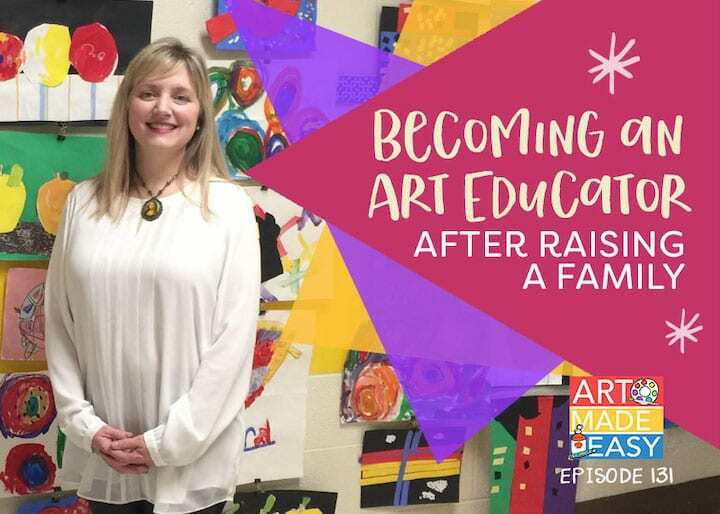 You can purchase this lesson plan PDF by clicking the link below. 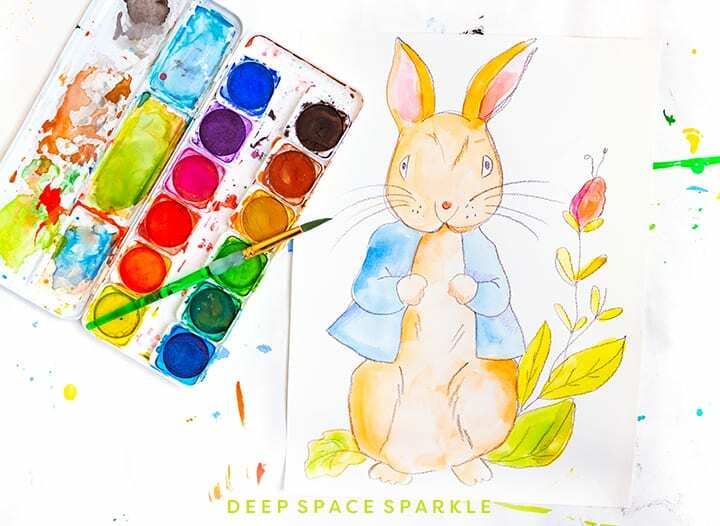 It’s available for Sparklers’ inside the Collaborative Art Bundle. Go check it out! I get a lot of stuff from online. Is there a way for you to check your files for my name. Jane Webster. I actually forget what I subscribe to.